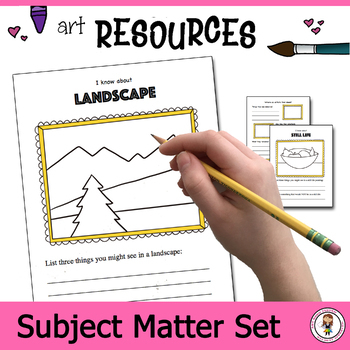 DBAE worksheet series for the elementary art classroom. No lesson plans. 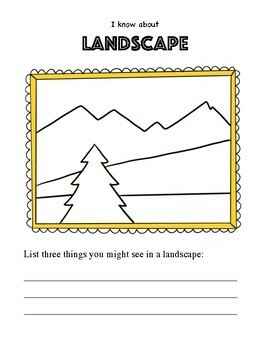 This worksheet has been successfully classroom tested in the elementary art classroom. 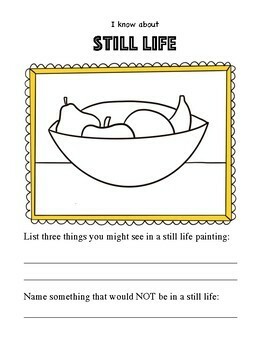 Pair this with your favorite art history lesson or project. Please note, there are NO LESSON PLANS included in this bundle. Great for direct teach, inquiry based learning and gradual release models. Easy way to collect data and assess learning. This idea can be used with K & 1 if teacher scribes the answers on the board. Please reach out to me with any questions prior to purchase. Your feedback is valued as honest feedback improves the quality of all items on Teachers Pay Teachers. I love hearing about your student success stories. When you leave feedback you earn TpT credits, which may be used on products in any TpT store. • Use this resource in your classroom (or homeschool environment) year after year. 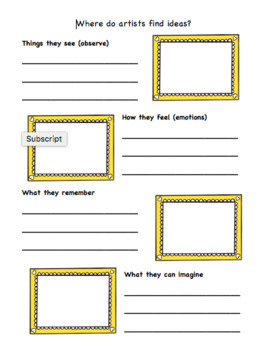 • Copy this item (whole or in part) for use in your classroom by your students. • Purchase extra licenses for others to use in their classrooms. • Review this item for the purpose of recommending it to others provided you include a link to this product. This includes writing about this resource and sharing your own experience on your social media/blog. • Give a copy of this resource to others, including teachers, in any format. • Copy any portion of this item for use by others. • Post this resource on a website, including a personal, classroom or district website. • Copy or modify any part of this resource to offer for free or for sale. * This item is also offered as part of a bundle. Check it out and save! This resource is supplied as one file in pdf format.